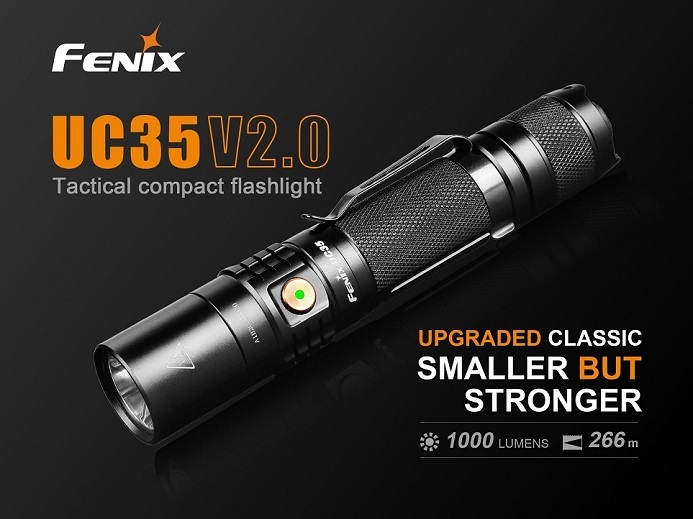 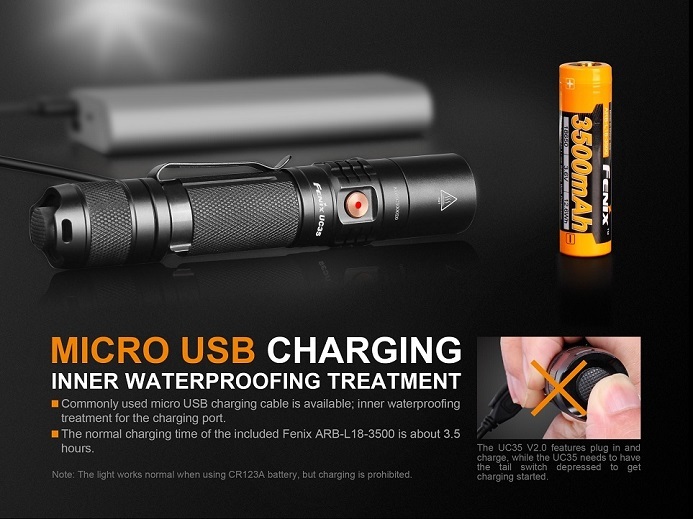 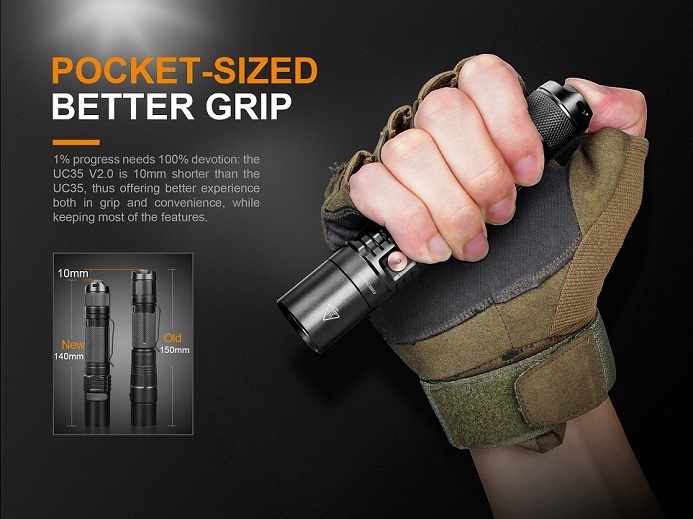 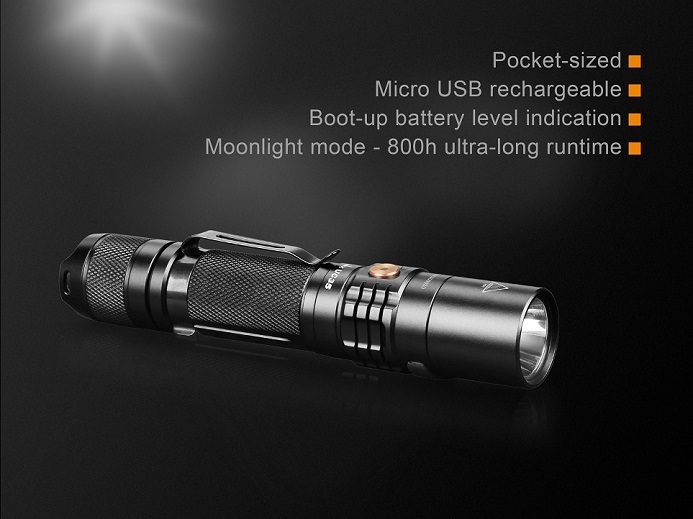 The Fenix UC35 V2.0 is a pocket-sized, compact tactical flashlight featuring micro USB recharging, with exquisite appearance, far-reaching beam and one-handed operation. 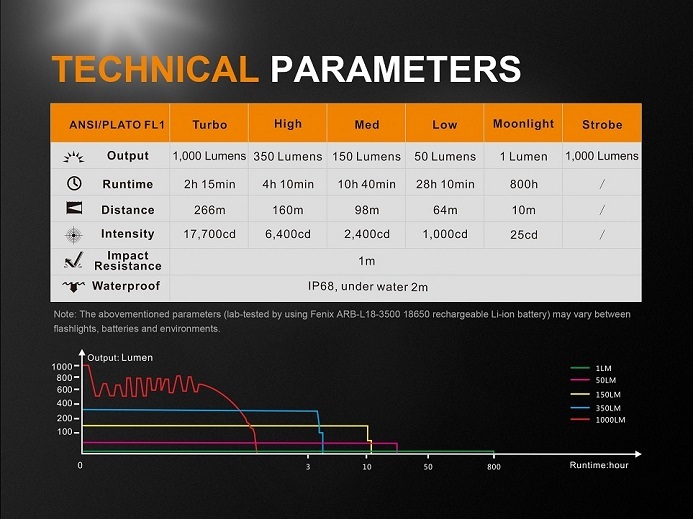 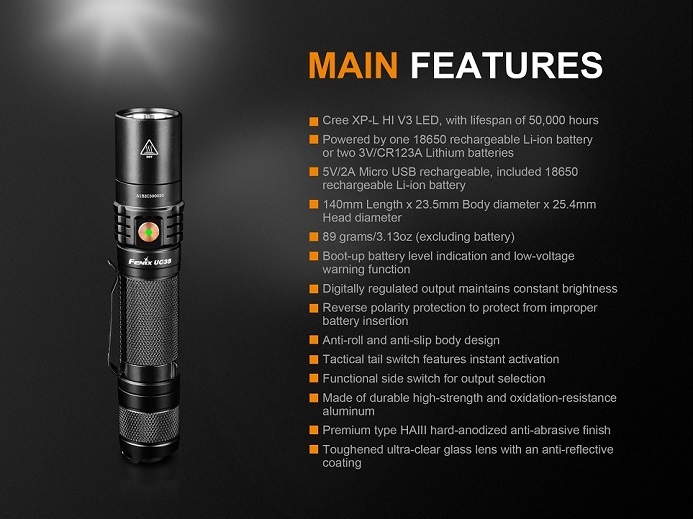 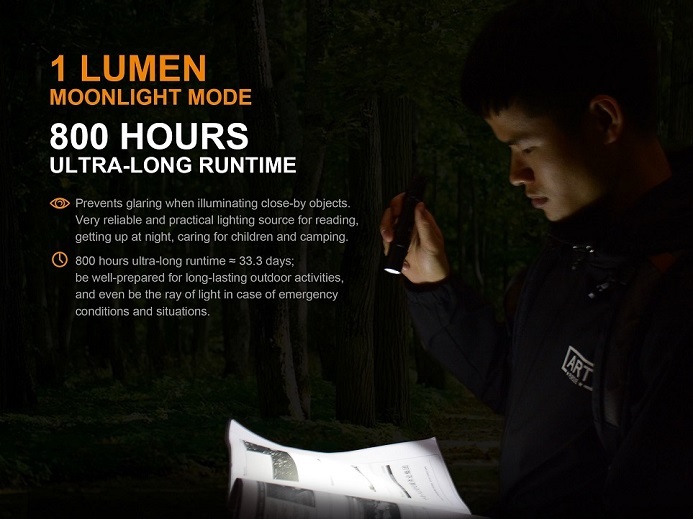 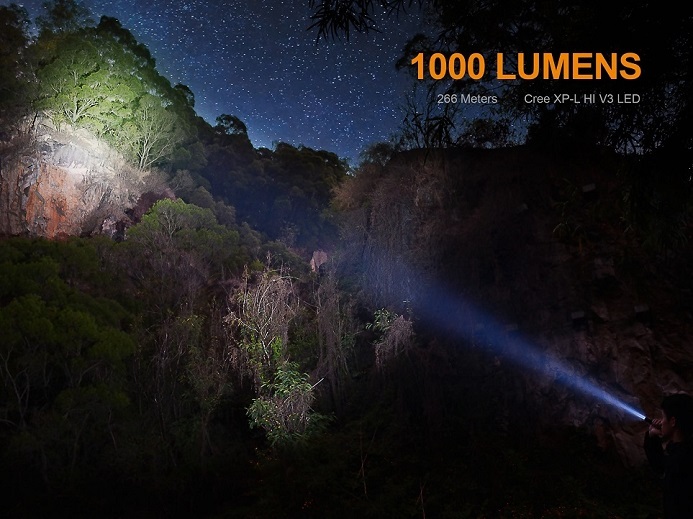 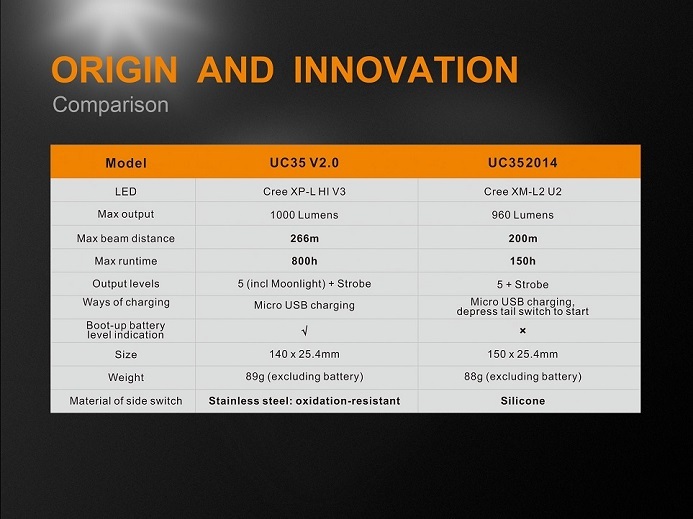 It is fitted with a CREE XP-L HI V3 LED that delivers a maximum output of up to 1000 lumens and a max distance of 266 meters. 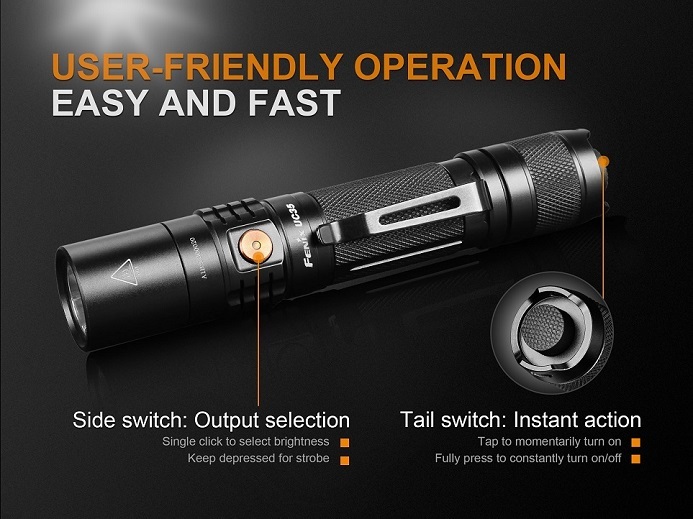 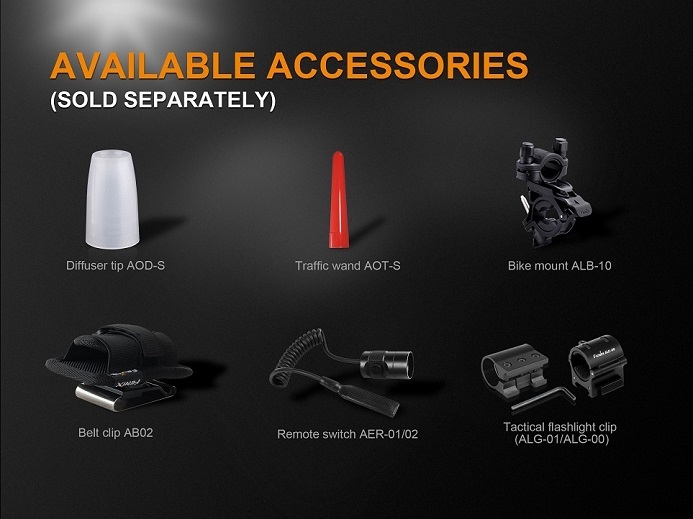 One tactical tail switch and one functional side switch control five output levels and strobe mode. 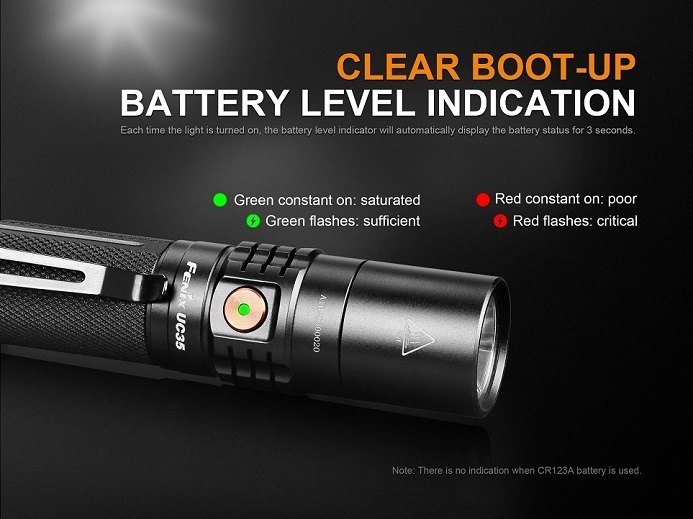 Boot-up battery level indication ensures users are well-prepared. 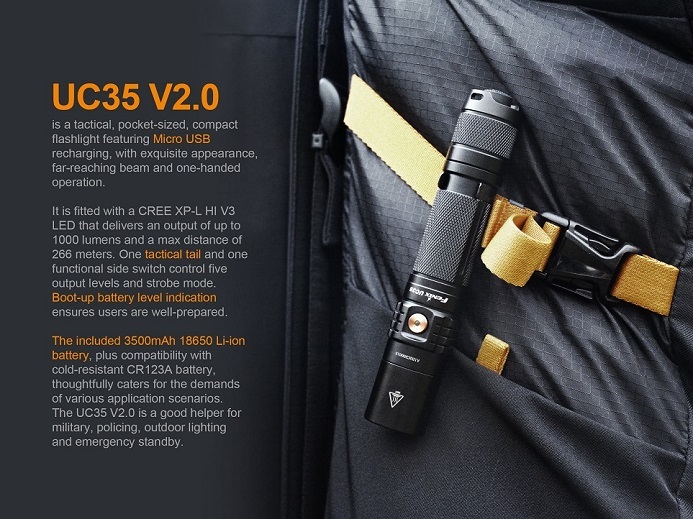 The included Fenix 3500mAh 18650 Li-ion battery, plus compatibility with cold-resistant CR123A batteries, thoughtfully caters for the demands of various application scenarios. 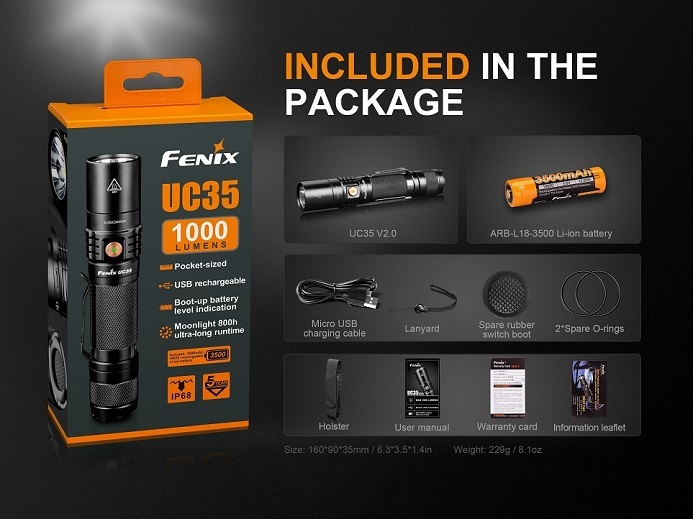 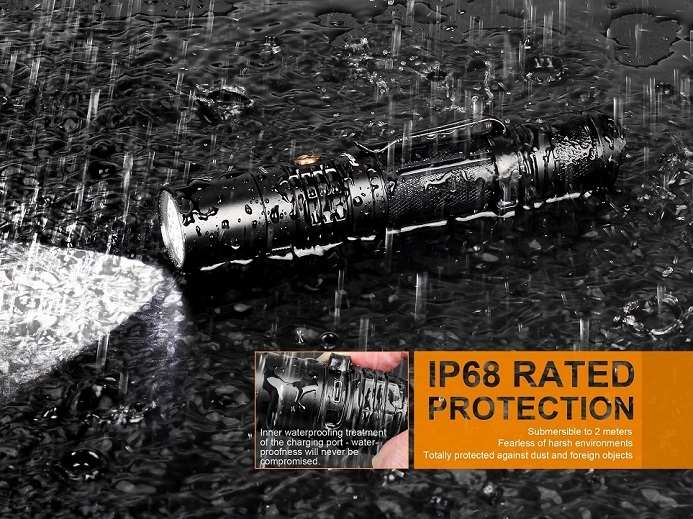 The Fenix UC35 V2.0 is your perfect tactical flashlight for military, policing, outdoor lighting and emergency standby.